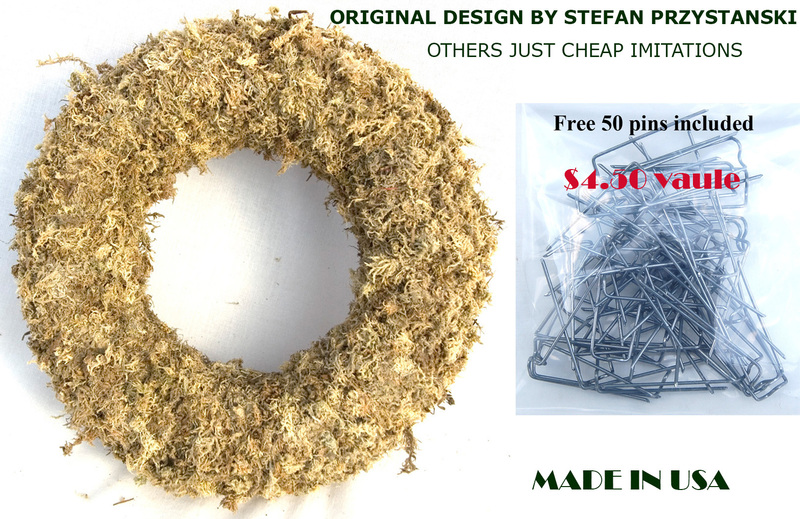 Living wreath round sphagnum moss form - 13"
Home > LIVING WREATH FORMS - THE BEST ON THE MARKET! > Living wreath round sphagnum moss form - 13"
Original design of excellent quality hand crafted sphagnum moss living wreath form. Set includes built in support/space legs and hanging chain. Single purchase includes free package of topiary pins to ease process of planting cuttings or rooted plants. Case of 12 sphagnum moss living wreath forms. Comes complete with chain hanger and support/space legs. Original product from original creator.